Dubai International Financial Centre (DIFC), the leading international financial hub in the region, said that the number of registered companies and specialist global advisors in the Centre has increased to more than 200. Dubai International Financial Centre (DIFC), the leading international financial hub in the region, said that the number of registered companies and specialist global advisors in the Centre has increased to more than200, including 13 of the world’s top 25 firms in the sector. DIFC is also home to over 60 significant funds, making it the leading fund domicile in the region. DIFC’s strategic position as a bridge from the region across the world enables companies to manage their interests throughout the MEASA region and beyond, including Asia, Europe and Africa, from their base in Dubai. 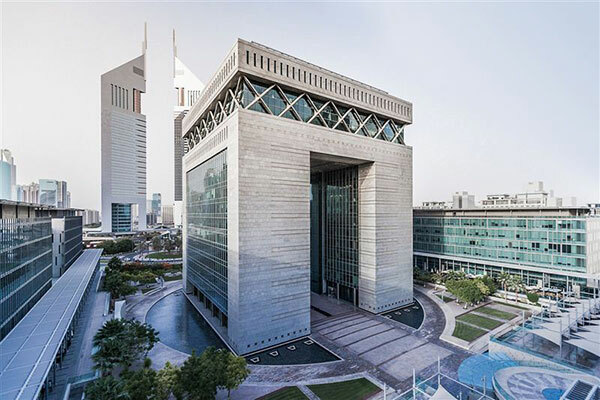 “The wealth and asset management sector is a cornerstone of a thriving financial services industry, and as DIFC has developed into a top global financial centre, it has become one of our hallmarks,” said Arif Amiri, chief executive officer of the DIFC Authority. “Major financial institutions see Dubai and DIFC as a preferred platform to access investment opportunities and sources of investment across regional and global markets. DIFC is home to the regional headquarters of 13 of the world’s top 25 wealth and asset managers, with Fidelity International recently joining the Centre. Registered as FIL Distributors International Limited, Fidelity International has been licensed by DFSA and will manage its asset management business in the Middle East and South Africa from the Centre, marking the latest growth milestone in the DIFC community. In recent months, DIFC has achieved significant progress through strategic initiatives to encourage the sector’s continued growth. This includes evolving its legislative framework, as DIFC is constantly introducing developments to its wealth management platform. The Centre enacted two new laws in March: the Trust Law, which provides an appropriate environment for the operation of trusts in DIFC, and the Foundations Law, a completely new regime to provide greater certainty and flexibility for private wealth management and charitable institutions in line with international best practice. DIFC’s international-standard regulatory framework and flexible business environment are already paying dividends to global and regional companies within the Centre’s community. In the first half of 2018, more than 150 companies were licensed in DIFC, boosting the total number of companies to 2,003, including major financial institutions State Street Global Advisors and Berkshire Hathaway Specialty Insurance. These companies benefit from three types of fund structures, as well as tried and tested SPCs and ISPVs used in structured financing transactions or related to entities of substance.